Teens also collected $6,000 to fund day-to-day work of HelpHygiene. Two Indian American teens of South Charlotte are on a mission to increase sanitation in impoverished communities for an effort decrease the transmission of noxious disease. Childhood friends Malika Rawal, 15, and Simran Bhargava, 14 have founded a non-profit HelpHygiene and aim to achieve their mission by educating people and by raising funds to purchase sanitizers, toiletries, bedding, and shoes. 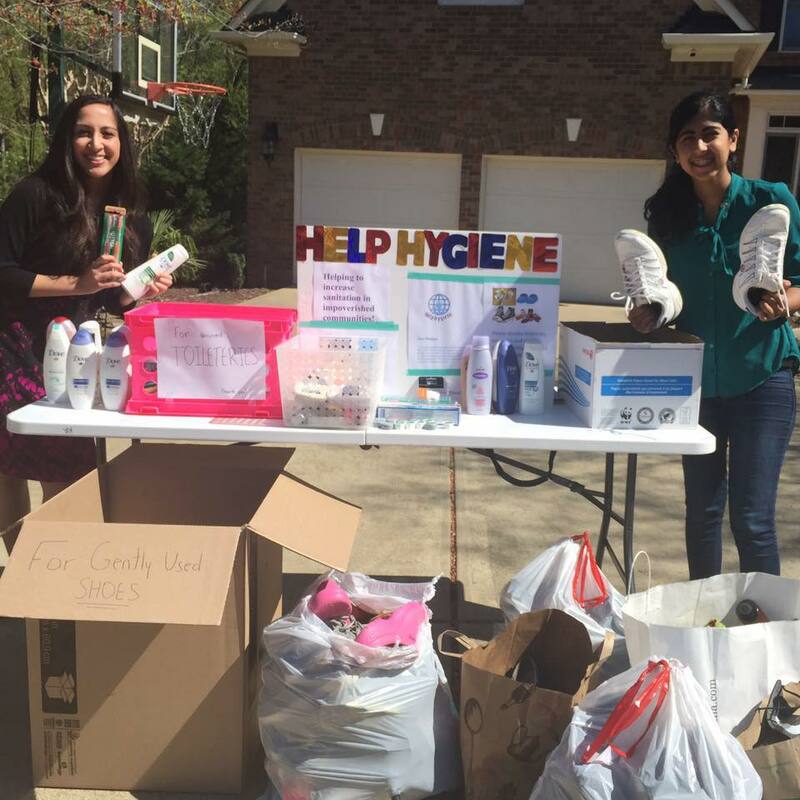 Rawal and Bhargava collected 1,200 toiletry items and 700 pairs of shoes over the past seven months and these have been passed on to Crisis Assistance, a Child’s Place and The Relatives, according to a Charlotte Observer report. The teens also collected $6,000 to fund the organization’s day-to-day work and the members of Help Hygiene are also individually conducting toiletries/shoe drives in different places. It was Malika Rawal, who first came with the idea of HelpHygiene. On her first trip to India she found kids on the Delhi streets, walking around in the dirt with only undergarments, and without shoes. She found out that many families could not even afford to use water, except to drink it, a description on their official website read. After she returned, Rawal shared the idea of creating HelpHygiene with Simran Bhargava, who also noticed children on street walking around on the dirt road with no food or home during her visits to India. The executed the idea with an aim to make a difference throughout our community and hopefully to other third world countries. According to the Charlotte Observer report, the Indian American friends are planning a trip to India on the Christmas break to deliver supplies and visit rural pre-schools to educate about the importance of hygiene to both the students and teachers. his drive. The organization is conducting their second membership drive social event on August 7and also doing online meetings every Wednesday at 6 p.m.
Malika Rawal currently attends Providence Day School as a 9th grader and Simran Bhargava attends Marvin Ridge Middle School as an 8th grader. HelpHygiene collects Beddings, Body Wash/Soap, Shampoo/Conditioner, Hand Sanitizers, Toothbrushes/Toothpaste, Pads/Tampons, Deodorant, Shaving Materials, Gently used shoes of any size/gender and monetary donations. Those who wish to donate can drop off things at Suit #101 8832 Blakeney Professional Drive, Charlotte, NC 28277 or can contact atHelpHygieneFoundation@gmail.com.